Millionaire teammates call him “flashy” and he has the hair to match: Close cropped around the temples and built like a high rise along the forehead. But there’s another side. Marcus Stroman leans his barrel-chested frame comfortably against a concrete wall in a dimly-lit hallway deep inside Tropicana Field in St. Petersburg, FL, and explains just how far confidence and resolve can carry a man. His Twitter bio features the #dreamchasers and a swagger only a New Yorker could appreciate. Stroman publicly describes himself as “doing everything they said I couldn’t.” The biggest example might be hearing the cynics say he couldn’t reach the big time and now happily proving them wrong. “He’s a little flashier than me or a lot of guys,” 35-year-old Blue Jays All-Star pitcher Mark Buehrle said with a grin. “But that’s his personality.” And the 23-year-old Patchogue-Medford High School graduate backs that up every time he takes the mound for the Toronto Blue Jays. Stroman has emerged as Toronto’s number three starter, keeping the team in the thick of the American League East playoff race. What makes this young gun’s ascent all the more improbable is his 5-foot 8-inch frame. The average height of a major league starting pitcher is six inches taller. In fact, Baseball Prospectus lists just 2 right-handed pitchers since 1961 who stood 5-foot-9 or shorter and made 30 career starts. Stroman is looking to become the third. Stroman doesn’t just dismiss critics, he mocks them, turning the slight into a trademarked slogan at the center of his planned clothing line: HDMH, which stands for “height doesn’t measure heart.” In a sport brimming with colorful characters and superhuman feats, this is not your typical big leaguer. He has a Duke University pedigree—the only first round draft pick in the school’s baseball history—and is just one semester shy of an undergraduate degree in sociology. That sense of polish with the brass is part of the high expectations. Stroman, taken with the 22nd overall pick in the 2012 MLB draft, began his Blue Jays career in the bullpen but quickly earned a spot in the rotation. “My second relief appearance was pretty nerve wracking,” he said. “[Manager John] Gibbons threw me out there in the ninth of a tie game in Philly. 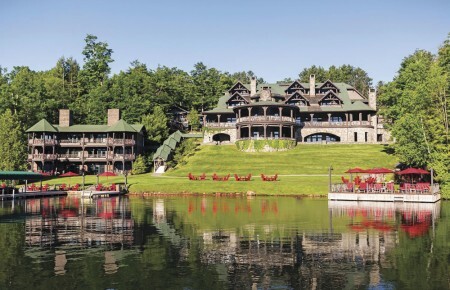 I had family there. I threw a scoreless inning. The next half inning we scored and I came back out and got the win. That was pretty crazy. This can-do kid lost the strike zone the first time he faced the Yankees at the Stadium on June 17, lasting just 3 and 2/3rds innings in a loss before some 200 friends and family. 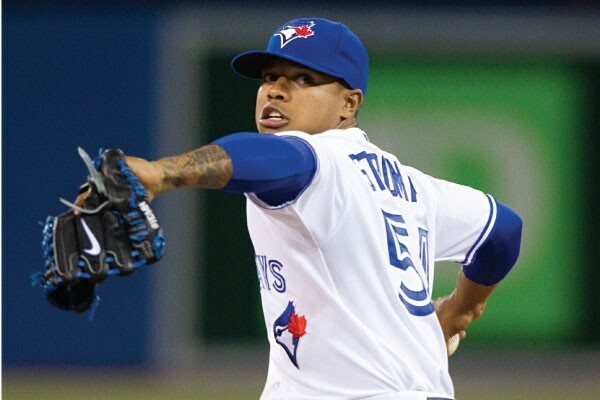 Six days later Stroman threw 8 stellar innings against the Yankees, this time in Toronto, surrendering just 1 earned run while striking out 7 in an 8-3 win. That’s Stroman: Always striving to leap over the next obstacle. The game plan includes plenty of heat. But pitch location is every bit as important as pure power. When Navarro first sat down with Stroman during spring training, he wanted to assess the top prospect’s repertoire of pitches. First Stroman found the right grip on his go-to fastball. Then he learned to rely on it above all else. From there pitching becomes art. He’s still learning, but with a clubhouse featuring the likes of 2013 Cy Young winner RA Dickey, hard-throwing Brandon Morrow and Buehrle, the young starter has had plenty of veteran influences to draw from. Stroman throws a mid-90s fastball that appears even faster and can rise and fade to befuddle batters. “He’s our future,” Stanley said. And their present. Baseball is a meritocracy. If pitchers produce, they will get the ball. And Toronto is a town starving for a winner—the Blue Jays have not been to the postseason since winning back-to-back World Series titles in 1992-93. One unforgettable Joe Carter home run and 21 seasons later could Stroman deliver their next great moment? So far Stroman is matching substance on the mound with clubhouse style—his red loafers turn heads. Another encouraging sign if you’re a Blue Jays fan: The bonus baby bought a home in Palm Harbor, FL, just down the road from the team’s spring training facility. But he’s still a Long Islander at heart, returning to his hometown of Medford during the All-Star break in July. And he’ll spend much of the offseason there too. But come January the diminutive pitcher with the big plans will fly south and get a head start on the new season. Marcus Stroman’s self-confidence was nurtured at the age of 12 by a pair of legendary Long Island baseball coaches. 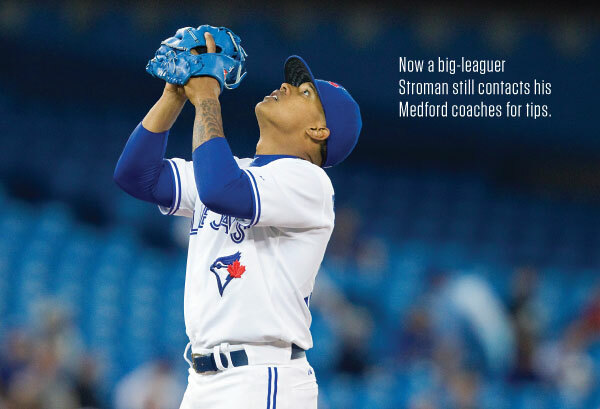 Neal Heaton has been Stroman’s personal pitching guru ever since. And Gregg Sarra mentored him on several travel teams. Both Heaton and Sarra are Suffolk County Sports Hall of Fame inductees. Today Heaton, who played for 7 teams over 12 major league seasons, is an instructor at All-Pro Sports Academy in Bellport. “I still throw with him during the offseason,” Stroman said. Stroman has always won—and had fun. He put up video game numbers while pitching at Patchogue-Medford High School and was named the state Gatorade and Louisville Slugger player of the year after going 9-1 with a 0.25 ERA and 120 strikeouts as a senior in 2009. Then he starred for three seasons at Duke University, where he dominated ACC hitters. Toronto is a nine-hour drive from Medford, but mentally a world apart. Still, Stroman comes back to Long Island during the off-season. You can spot him in the stands at Pat-Med basketball games or in the school’s gym, where he throws during winter workouts.